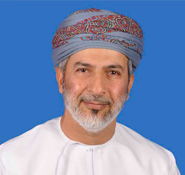 A very warm welcome to Oman Tourism College, or in other words welcome to OTC! Here we know that your opportunities in the tourism & hospitality industry are endless. Our role is to help you to realize them. Whether you are looking for a short course to enhance your professional development, a taught diploma degree or the chance to study for a bachelor's degree, you will find the right opportunity that meets your needs and fires your imagination. Perfectly located in the heart of Oman's capital, Muscat, and close to the Oman International Airport, OTC's campus provides you great facilities to enhance your learning outcomes and to help you to achieve your goals. We offer an excellent connection to the industry that will help you to find the right and relevant work placement after your graduation. We strive to match our vision of being the leading tourism college nationally and regionally with the aspiration of our students. We focus on equipping you with the right skills required to meet the challenges of today's dynamic and fast growing tourism industry. OTC offers an environment of warmth and care that gives students of different nationalities a second home every year. Currently nearly 700 students are studying at OTC to strengthen the Sultanate's tourism sector with an enthusiastic and forward-looking workforce. Expand your horizons and come study at OTC.